Grande Mestre Nô was born in the village of Coroa, Itaparica Island, Bahia, Brazil on June 22, 1945. His grandfather gave him his first Capoeira lesson when he was 4 years old. At 7, Mestre Nô and his family moved to Massaranduba, a poor neighborhood near the church of Bom Fim. Masters Nilton and Cutica, brothers and highly respected Capoeiristas lived down the block, took the young Norival to meet the elder Masters Pirro and Zeca. Masters Cutica, Pirro, Zeca and Nilton organized and commanded many Capoeira rodas in the streets. On special occasions, Mestre Traira, Mestre Waldemar and other Mestres from the neighborhood of Liberdade organized incredible rodas. 20 masters would show up to sing, play music and play Capoeira. Mestre Nô was always present at these Capoeira rodas. These rodas were reserved only for Mestres. During an intense Capoeira roda in front of a church one Sunday afternoon, Mestre Nilton told young Norival to enter the roda. Norival began playing in the Mestre’s rodas and in 1965 he started teaching in his own academy of Capoeira Angola. Mestre Nô has been Master of Capoeira for over fifty years. His name is known to everyone who is involved in Capoeira. He founded Capoeira Angola Academies Retinos, Orixás Da Bahia and Capoeira Angola Palmares. He has taught tens of thousands of people and is called the “Mestre dos Mestres” or Master of Masters for having graduated 100s masters. He is founder, president, and grand master of Associação Brasileira Cultural de Capoeira Angola Palmares (ABCCAP) an organization dedicated to teaching, promoting and maintaining the traditions of Capoeira Angola worldwide. Mestre Nô began teaching Capoeira Angola in Seattle in the early 1990s and his student Contramestre Mangangá (Syed Taqi) is one of the very few certified to teach his style in the United States. 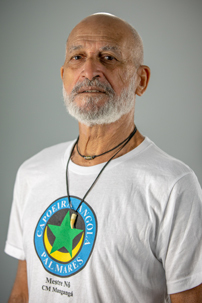 Mestre Nô considers Syed as his right hand man in the United States, specifically in the State of Washington where he teaches capoeira classes in Seattle, Lynnwood, Tacoma, and Spokane. Today, Mestre Nô lives with his children and grandchildren on the Itaparica Island and Boca Do Rio , Salvador. He teaches Capoeira throughout the world instructing and guiding all the Capoeiristas and the many academies of Capoeira Angola Palmares. Syed is a world-renowned teacher and practitioner of Capoeira Angola of the new generation, with nearly 20 years of experience in the world of Capoeira. Syed is known for his calming zen-like approach to teaching and playing Capoeira. Syed has been teaching in the Seattle since he was 19 years old. He has taught workshops all over the United States as well as internationally. He has extensively lived and traveled throughout 12 states in Brazil playing and teaching Capoeira. 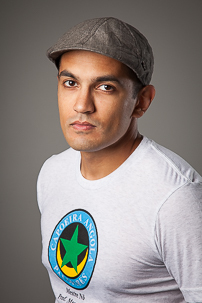 Syed frequents Brazil every year and is the highest ranked Seattleite in Capoeira. He is the founder of the Washington Capoeira Center, a branch of Capoeira Angola Palmares that has locations in Seattle, Tacoma, Lynnwood, and Spokane. Syed has an extemely close relationship with Grande Mestre Nô, who is considered the Master of Masters in the international Capoeira community. Syed is one of only three North Americans having been promoted to Contramestre (Assistant Master) from Grande Mestre Nô. In 2015, Syed founded the non-profit organization, Capoeira Life, that offers reduced cost and free capoeira classes to at-risk-youth in Seattle . Syed lives with his beautiful family of 5 on Beacon Hill where he has lived since 1998. Omari has over 15 years of experience in Capoeira. 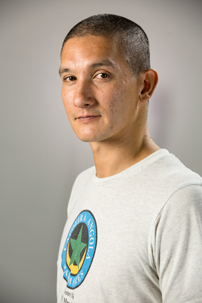 He is one of the founding members of the Seattle Capoeira Center and he is the founder of the Tacoma Capoeira Center where he leads weekly classes for children and adults. In addition to Contramestre Mangangá, Omari has trained with Mestre Nô, Mestre Ombrinho, and a number of other Mestres. Omari’s Capoeira training began in his early twenties in efforts to be connected to his lost African ancestry. His dedication grew when Grande Mestre Nô came to Seattle to teach workshops. Mestre Nô’s teachings brought him closer to the heritage he was searching for his entire life. Along the way, he became a father of 7 beautiful children and they all also play Capoeira. Omari regularly assisted in classes and in 2010 launched the children’s program at the Artspace Hiawatha Lofts. In 2012, Omari was the first to bring Capoeira to his hometown Tacoma. In 2016, Contramestre Mangangá graduated Omari to Instructor. In 2018, Omari was promoted to Professor by Grande Mestre Nô. A social conscious social-worker by trade you can find Omari and his family at the Tacoma and Seattle Capoeira Center every week. Dan began training Capoeira Angola over twenty five years ago in Portland, OR. In 2001, Dan received his Instructor Certification from Grande Mestre Nô, with Mestre Ombrinho, in attendance. Later that year, Dan visited Salvador, Bahia to attend the 1st International Conference of Capoeira Angola and train with Mestre Nô and dozens of other Mestres. Over the years, Dan attended the many intensive workshops taught by Mestre Nô. Dan continued teaching the fundamentals to many students until 2004, when he embarked on a 13 month long bicycle world tour. Dan returned to the Capoeira to train and learn from one his former students and now his teacher, Contramestre Mangangà in 2012. 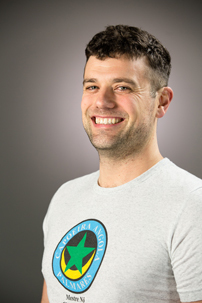 As one of the head instructors of the Washington Capoeira Center, Dan oversees capoeira classes in Seattle, Lynnwood, Tacoma, and Spokane. A skilled metal fabricator by trade, Dan has an eye for detail, which is evident in his focused teaching style and particular interest in the fundamentals of Capoeira Angola movement, rituals, and music. He strives to help each student build a strong foundation on which to base a lifelong practice. 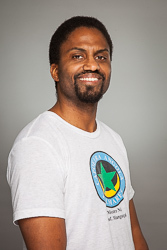 Ryan is a Beacon Hill native with 17 years experience as a member of Capoeira Angola Palmares. Ryan and Contramestre Mangangá grew up training Capoeira together, and is a proud founding member of the Seattle Capoeira Center. In addition to having been trained by Grande-Mestre Nô, the founder of Grupo Capoeira Angola Palmares, he’s trained with Mestre Gulliver in New York City, and has lived in Brazil on multiple occasions, training with Mestre Lázaro and Mestre Paulino. Ryan was promoted to Instructor by CM Mangangá in 2017 with the presence of his fellow SCC Instructors and Professors Caimã and Tucano. His classes are always high energy and creative and he is known for his great sense of humour and good natured attitude. In addition to his Capoeira, he’s the artistic director of The Williams Project, a theatre company in Seattle. Capoeira has taught him to sing, dance, play, fight, and how to live a healthy lifestyle. Matt has been playing capoeira for over 16 years, beginning in Buffalo, NY. In 2008, Desenho eventually took responsibility of the group and received his Instructor certification from Capoeira Mandinga in 2010, shortly before moving to Seattle, WA. He left Buffalo with the lasting legacy of the Capoeira Cultural Arts Center, which was designed by Matt. 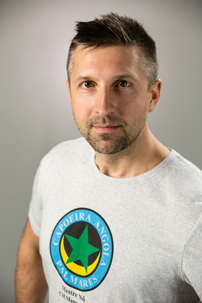 In 2016 Matt officially joined Capoeira Angola Palmares after a few years of training with Contramestre Mangangá – initially he was attracted to the efficient martial arts techniques and powerful traditions but ultimately he joined because of the commitment to the Seattle Capoeira Center community. In 2017 Desenho received his Instructor Certification with Capoeira Angola Palmares from CM Mangangá under the supervision of Grande Mestre Nô. Having trained with many different Mestres, Desenho brings his expertise to the Seattle Capoeira Center. His teaching focuses on developing rich interactions, efficient movement, and self-expression – all with the intent to find joy while playing Capoeira. Desenho lives in West Seattle with his family and also teaches free capoeira classes in West Seattle. Mikhalia was introduced to the art at the New York Capoeira Center in 2008 and found a home her capoeira home at the Seattle Capoeira Center in 2014 after attending a Seattle Black Panther history workshop with Aaron Dixon. She was drawn to the social justice side of capoeira that is taught at the Seattle Capoeira Center. She grew up doing gymnastics and continues to work toward a graceful acrobatic flare. She enjoys nerding out on capoeira music and history, and appreciates the supportive community that celebrates African-Brazilian roots and culture. 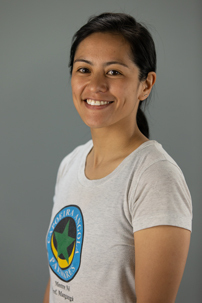 Julie is one of the founding members of the Seattle Capoeira Center. Julie journey began in Capoeira Regional in her hometown of Barcelona in 2002. She trained there for many years before she moved to the US. In 2011, Julie found Capoeira Angola Palmares at the Artspace Hiawatha Lofts under the instruction of Contramestre Mangangá. Julie fell in love with the intelligent Angola style and soon came to learn what a well rounded, versatile, intelligent lineage Palmares was. She found a place to pay deep respect to the ancestors, roots, history and culture of Capoeira. 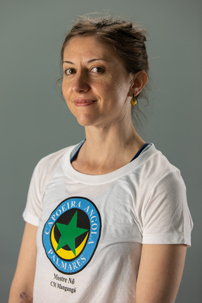 You can find Julie at the Seattle Capoeira Center guiding new students find their base in the world of Capoeira.